Based on the Gulfstream IV, the Gulfstream G300 is one of the fastest in its class, has one of the largest cabins in its class, and has a third more baggage space than most others in its class. The Gulfstream 300 large-cabin, mid-range business jet can accommodate up to 12 passengers in its cabin, each with a large signature window. 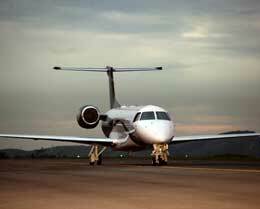 The Gulfstream Corporation announced the G300 in December of 2002 as the production for the GIV ended. This private business jet was designed to meet an emerging market, demanding a spacious stand-up cabin with generous aisle space and comfortable seating without the long range capability requirement. This led to the development of the large cabin mid range Gulfstream G300. The design of this private business jet is based on that of the GIV, featuring improvements in range, outfitting, and service and training. In addition to these enhancements, the Gulfstream G300 features an enclosed lavatory, the largest cabin in its class, and one-third more baggage capacity than the closest competitor. Production on the Gulfstream G300 started in 2003 and ended in 2004. The spacious cabin of the G300 measures 45.08 feet in length, reaches 6.17 feet in height, and stretches a maximum of 7.25 feet in width, allowing for a cabin volume of 1,525 cubic feet. The Gulfstream G300 is capable of accommodating a maximum of nineteen passengers, though is typically configured to seat thirteen to fourteen. 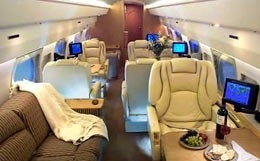 This private business jet offers 169 cubic feet of baggage capacity, allowing plenty of storage for your luggage needs. With twelve Gulfstream signature windows surrounding the cabin and a 100% fresh air system, the G300 provides a comfortable atmosphere for your business venture. 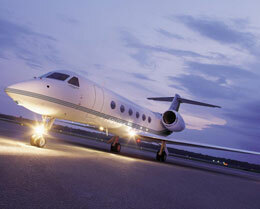 The Gulfstream G300 comes standard with two Rolls-Royce Tay 611-8 engines. With these engines, the Gulfstream G300 is capable of flying fourteen passengers from Chicago to London at an airspeed of 458 knots, or 0.8 Mach. The G300 needs 4,700 feet of runway to take off and requires 4,417 feet of runway to land. 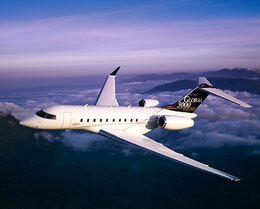 This large cabin mid-range private business jet features a maximum range of 3,600 nautical miles. The Gulfstream G300 has a maximum certificated service ceiling of 45,000 feet and is capable of maintaining a climb rate of 3,805 feet per minute. 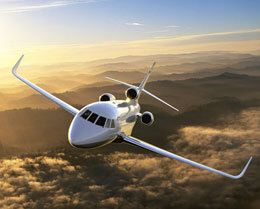 In a long range cruise configuration, this private business jet travels at an airspeed of 446 knots. For a swifter flight, the Gulfstream G300 is capable of travelling at an airspeed of 498 knots in a high-speed cruise configuration. The avionics system selected for the Gulfstream G300 is the Honeywell SPZ-8400 Integrated Avionics suite with a six tube electronic flight instrument system (EFIS). Instruments available for this avionics package include dual Collins 442 distance measuring equipment (DME), triple Collins VHR-442B comms with dual Collins VIR-432 navs, a Honeywell Primus 880 weather radar, a Honeywell Traffic Collision Avoidance System (TCAS) II, a Fairchild FA-2100 cockpit voice recorder, a Fairchild FA-2100 flight data recorder, dual Collins 462 automatic direction finders (ADFs), dual Honeywell NZ-2000, dual Honeywell RT-300 radio altimeters, a Honeywell DL-950 data loader, an Artex 406MHz emergency locator transmitter (ELT) with navigation interface, triple Honeywell LaserRef inertial reference units (IRUs), dual Collins HF 9000 with selective calling (SELCAL) radio capability, Dual Collins TDR-94D with flight ID and enhanced surveillance capabilities, and a Honeywell heads up display (HUD). 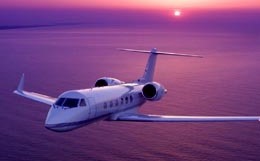 For more information about chartering, leasing or buying a Gulfstream G300 please contact us by calling +44-20-3874-8091 or send us an email here.